Since this month is raining men on the blog (LOL! Side note: I once did a play with this song in it and it still cracks me up) today I’ve got a round up for you of sewing for men project. 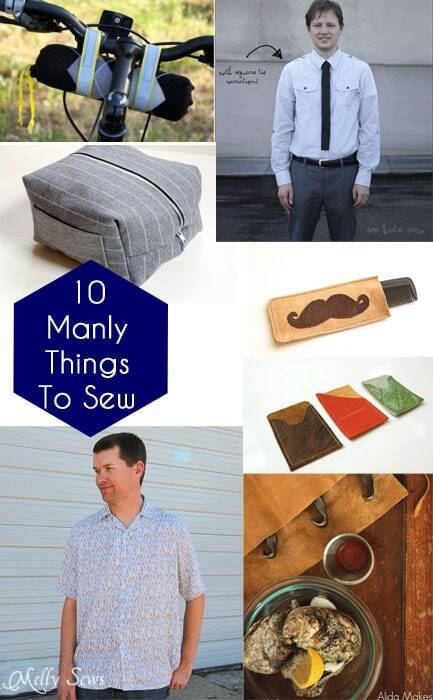 So here are 10 Manly Things to Sew. 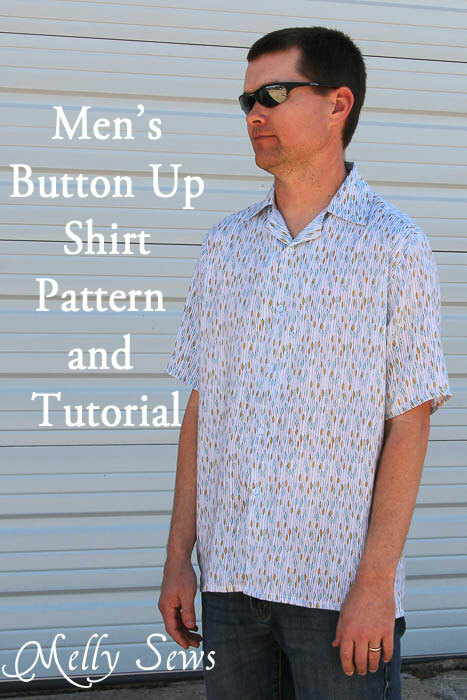 I’ll kick it off by referencing one of my most popular posts – the Men’s Shirt, which includes a free pattern in one size. 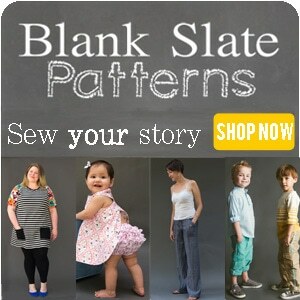 In the same vein, Craftstylish has a tutorial for a men’s fleece hoody here. 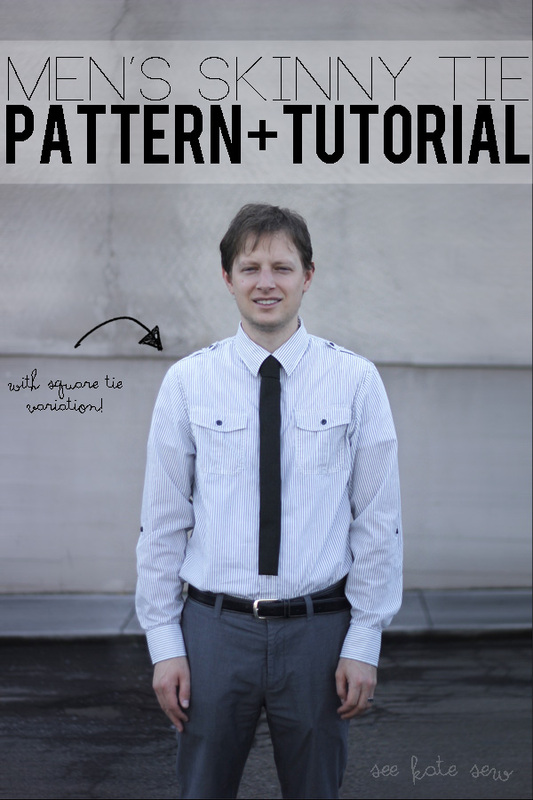 And if your guy needs to get a little dressed up, try this skinny tie from see kate sew. 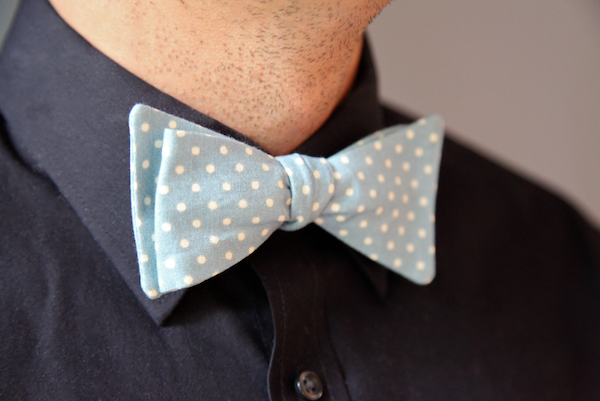 Or if he needs to get really dressed up, use this bow tie tutorial from Sew Like My Mom. 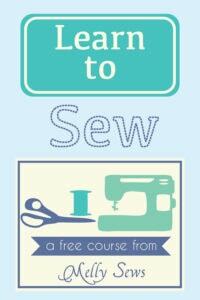 Another theme that seems to come up in sewing for men is sewing projects for them to carry their stuff. Like their water bottles on their bikes, with this project from GiversLog. 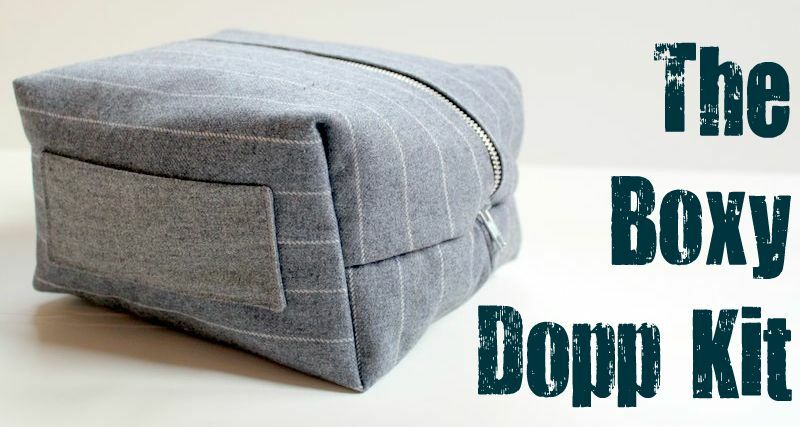 Or this Boxy Dopp Kit by The Cottage Mama to carrying toiletries. And then there are things made of leather to carry your man’s stuff. Like this smartphone case by I Still Love You. Or these mustache comb cases or card holders by CailaMade. And if you’ve got a guy that needs to carry tools, this oyster knife case by Alida Makes could be adapted for all kinds of stuff.